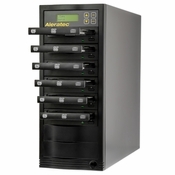 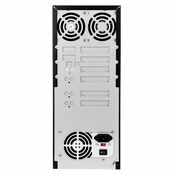 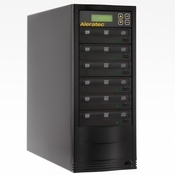 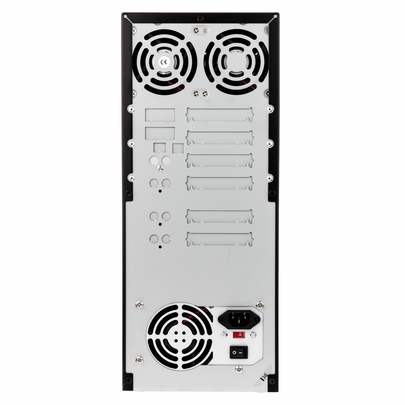 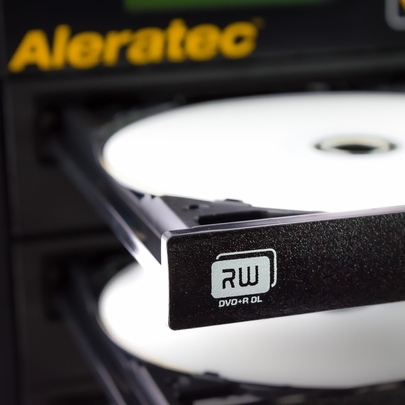 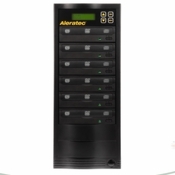 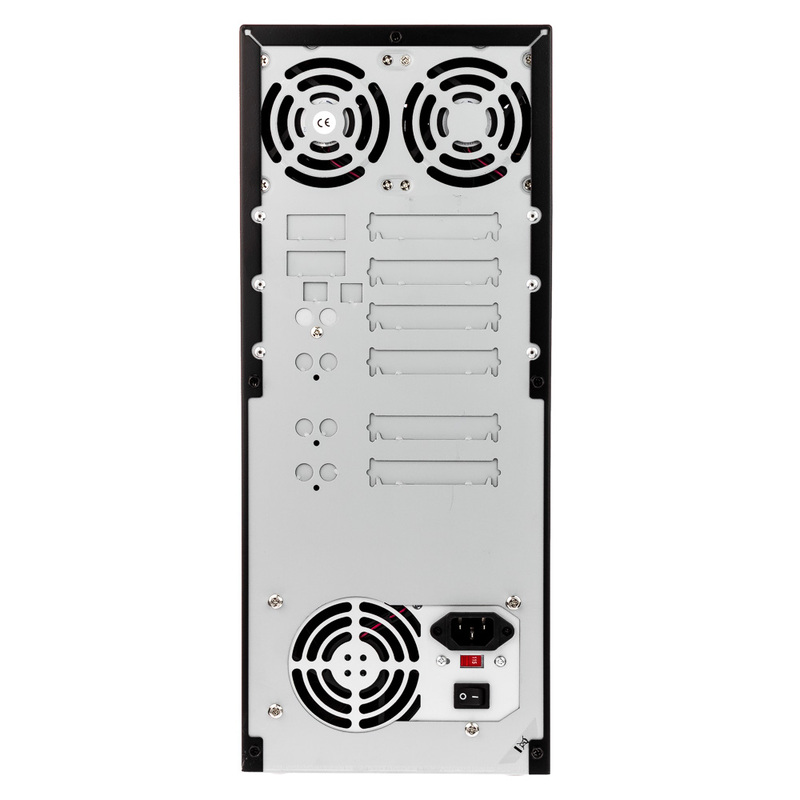 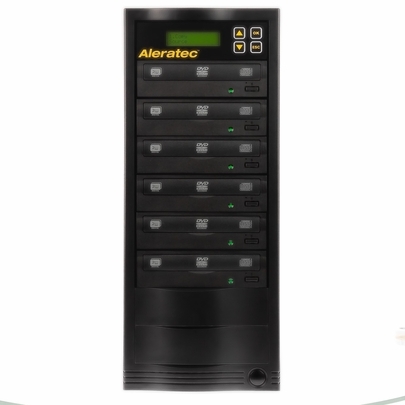 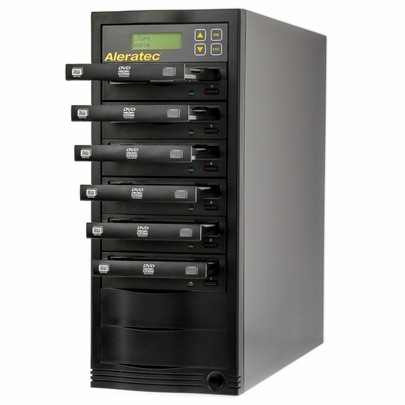 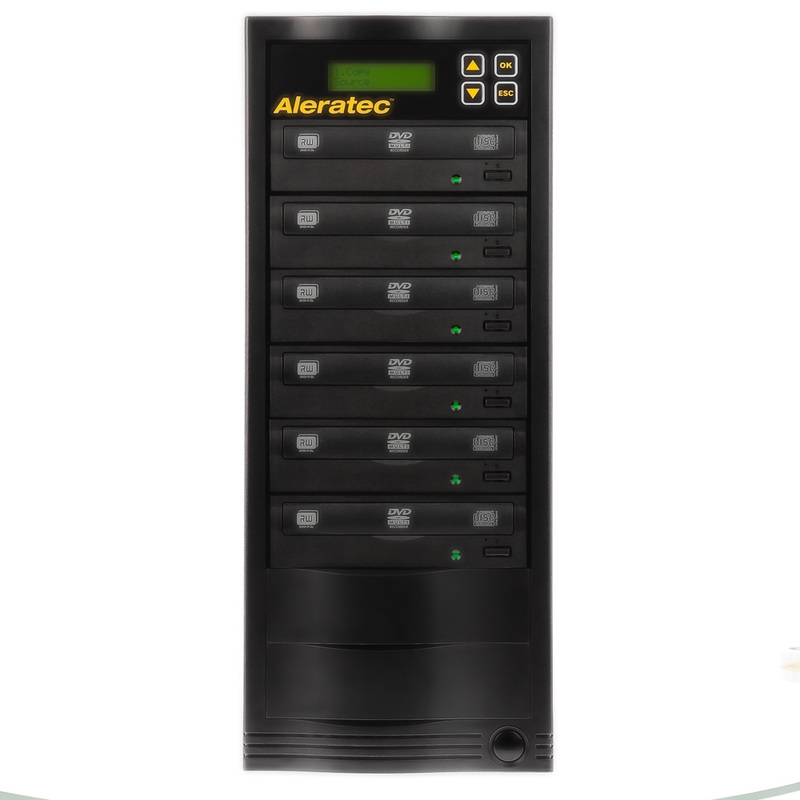 The Aleratec 1:5 DVD/CD Copy Tower Basic stand-alone duplicator incorporates 22x DVD recorders for simultaneous DVD copies at up to 22x speed or simultaneous CD copies at up to 48x, without a computer. 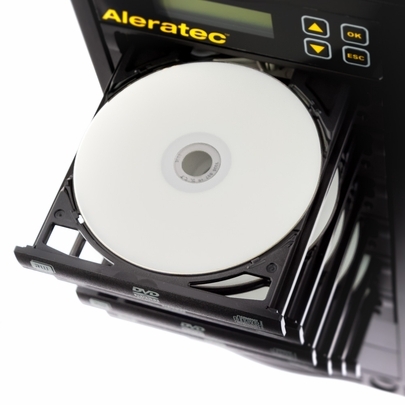 The 1:5 DVD/CD Copy Tower Basic can also copy up to 8.5GB on Double Layer Media. The 1:5 DVD/CD Copy Tower Basic makes quick copies of a DVD/CD, by just placing the master disc in the source drive, loading blank media in the target drives for the number of copies you want and pressing "Copy". Note: The 1:5 DVD/CD Copy Tower Basic will NOT duplicate copy protected DVD materials such as DVD movies.